Develop 10 Natural Pumice Lava Rock removes dead skin naturally by harnessing the natural healing powers of the earth. 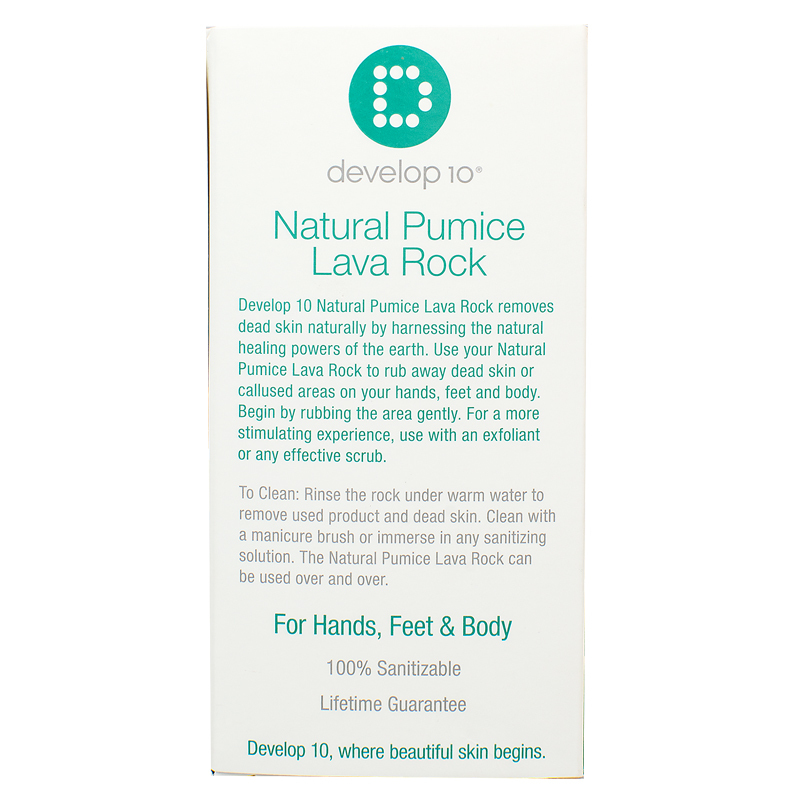 Use your natural Pumice Lava Rock to rub away dead skin or callused areas on your hands, feet and body. Begin by rubbing the area gently. For a more stimulating experience, use with an exfoliant or any effective scrub. To Clean: Rinse the rock under warm water to remove used product and dead skin. Clean with a manicure brush or immerse in any sanitizing solution. The Natural Pumice Lava Rock can be used over and over. Directions: To Clean: Rinse the rock under warm water to remove used product and dead skin. Clean with a manicure brush or immerse in any sanitizing solution. 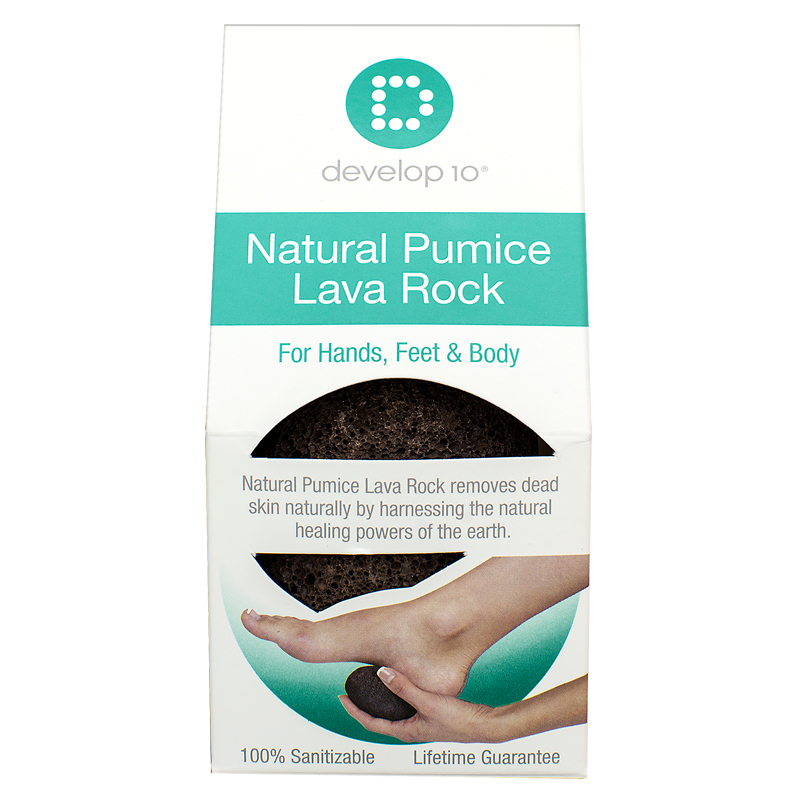 The Natural Pumice Lava Rock can be used over and over again. Our passion is your beauty.